Last fall, I had hosted a small gathering of friends in my house with Lee Jeans. Lee Jeans flew out to Philly to fit us in some of their jeans. I’ll be honest – prior to that party, the name “Lee Jeans” immediately took me back to my middle school fashion experiences in the 80s. I would not have considered Lee Jeans in 2012 for jeans to wear today. 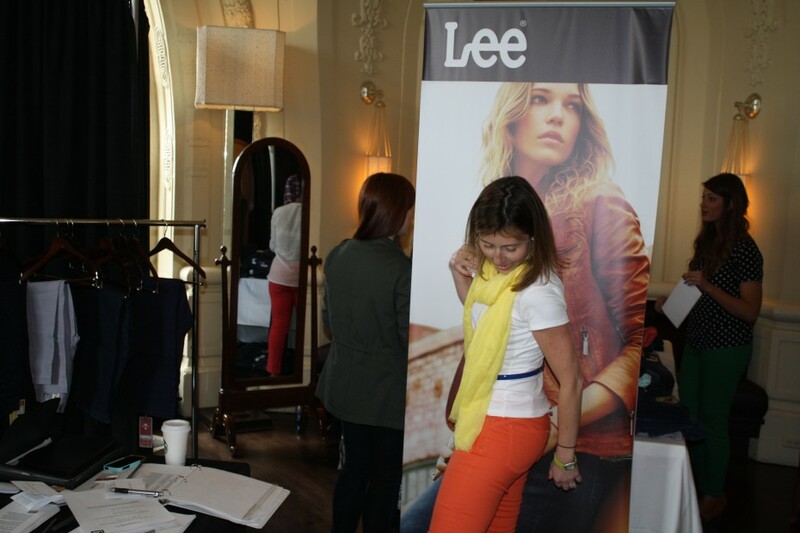 I was super excited to invite Lee Jeans back to Philly earlier this month for Mom Mixer – this time to fit 150 Mom bloggers! This time they brought colored denim – so trendy and fun! 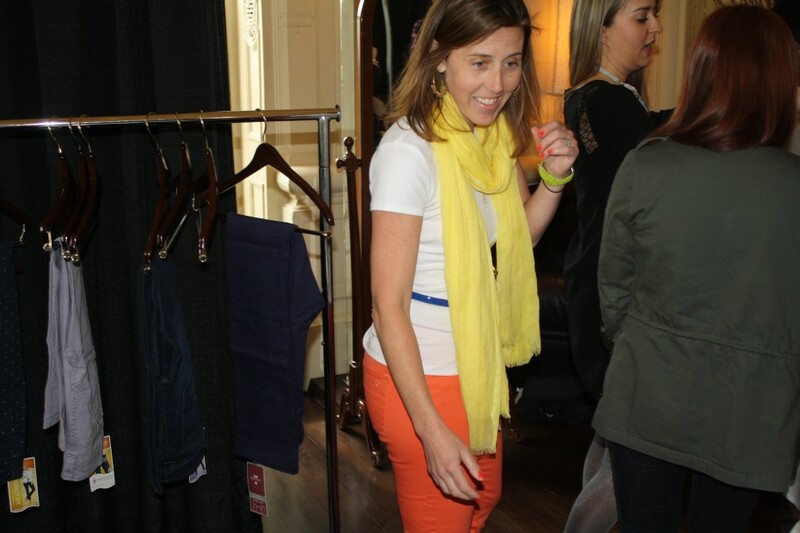 Here I am trying on my new pair of Ting Tang colored Gold Label Skinny Jeans (normally $60, on sale for $42.99!). Are these not so fun for the spring? The color is fun and the price is right! I also got a pair of these Gold Label Mason Rolled Skinny Jeans in Cadet (normally $60, down to $42.99) and they are so great for this time of year. Just every day jeans that can be dressed up or down in the spring. I’ve worn them to school to volunteer in a tee, and I wore them out the other night for a Girls Night Out with a blouse, scarf and some fun bling/accessories to dress them up. Use coupon codeMIXER10 to receive 10% off your order at LeeJeans.com. I encourage you to check them out because they honestly make great quality jeans that are on-trend yet totally affordable. Also – join our Twitter party tonight and you could win jeans for free! Where: Use the hashtag #LeeLooks to participate. Prizes: We’ll be giving away some fabulous prizes. $100 Lee.com shopping spree Grand Prize!